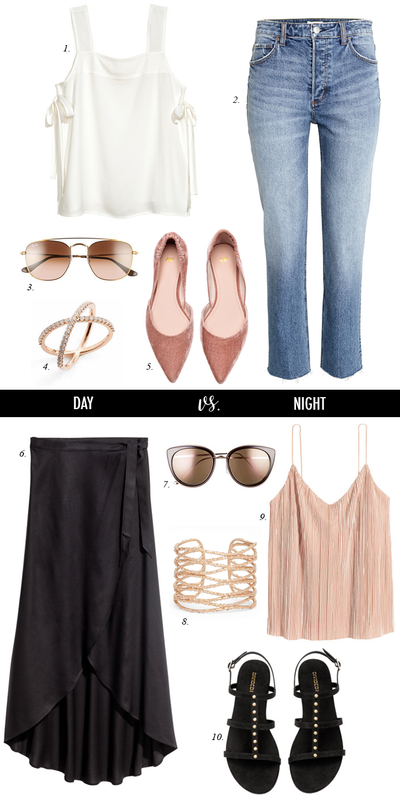 A summer day to night outfit - and a lot of the pieces are very budget-friendly, like the $18 velvet flats. I cannot believe that next week is July 4th. Here are just a few red and striped finds - that could be worn to a 4th of July party - or pretty much anytime this summer (other than maybe these $4 flip flops). These cute red bow slides that are only $18. This striped red and white pocket tee is only $13. This red off the shoulder dress with tie details on the sleeves is only $35 (and comes in blue, too). This red one shoulder ruffle swimsuit is on sale with an additional 40% off. This fun red tee with stars would be perfect for the fourth. This striped tee is only $6. This striped t-shirt dress looks so comfy and is on sale for under $40. These cute pool flip flops are stars and stripes - so fitting of the fourth (and are only $4). This striped tee is on sale for under $10. These striped espadrilles are under $20. I need that red ruffle bathing suit and that red OTS dress...might need to come home with me too. I love both looks! Those jeans in look 1 are amazing! H&M denim is so good. The H&M pink shoes are pretty and I love the skirt! Oh, that blush top is the best. So romantic. I am making a concerted effort to eliminate or vastly improve my 'bat wings' so I feel better wearing sleeveless tops. Would love to sport that one on date night. I love that wrap skirt with the high low hem! I bet it could be styled in several different ways! Both up and down!